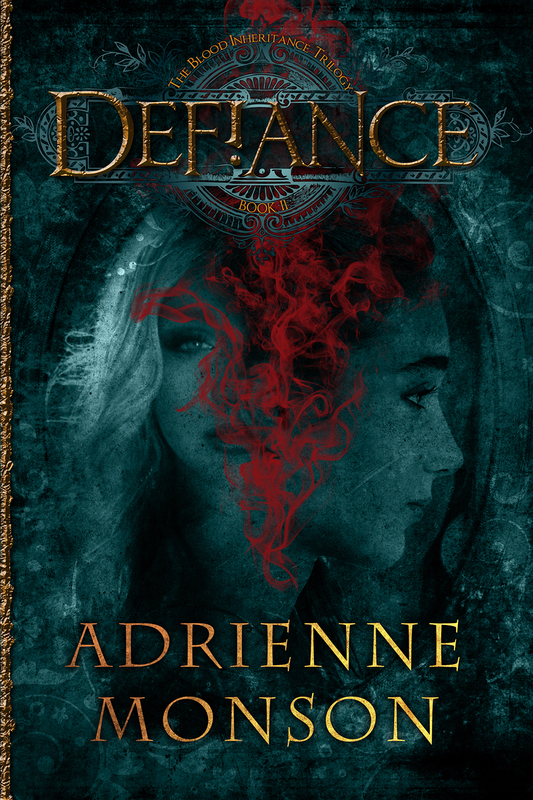 Today I have the pleasure of talking with fellow author, Adrienne Monson, about her new book Defiance releasing later this month. Leisha and Samantha barely survived. Now, an explosive battle between the vampires and immortals seems imminent. It’s more important than ever before that the prophecy child is found, but there’s a problem—Leisha has lost her powers. She seems like nothing more than a human. Her newfound humanity is further complicated when Tafari, her old lover, appears with a desire for reconciliation. Can Leisha lock up the past to save those she loves, or will fate tear everything from her once again? Where did your idea for Defiance come from? I’ve had a fascination with vampires since I was 11. It was inevitable that the first story I write included these mythical creatures, with my own personal twist to them. Many argue the trend in vampire novels have come and gone. What makes yours different from the rest? Like everything else, the market for vampires does a roller coaster. But even on the downward slope, there’s fans that will always pick it up. My vampires are unique in many ways, one of which is the story talks about how they came into existence in the first place using Voodoo magic. What is your secret to balancing romance without cliche? If you have a strong plot and three-dimensional characters, the romance will just work. It’s when an author forces a romance that a reader doesn’t really feel that it becomes cliche. What’s the key to writing a second book in a series? Have the end in mind. Even if you plan on writing a 12 book series, always know exactly where everyone is going to end up at the end. Hopefully, if you do that, all the previous books will flow together. How long did it take you to write Defiance? What is your writing process? Where and when do you write? I have young kids at home, so it’s dicey to have that time. I generally wait until the kids are in bed, which gives me a solid two hours a night. I also have an amazing critique group, and we go on writers retreats twice a year. It’s amazing how much I write during those trips! Interacting with the readers! I’ve gotten some amazing messages online from fans and it’s always a blast to meet more readers at book signings. They keep me going on the days I feel like throwing in the towel. 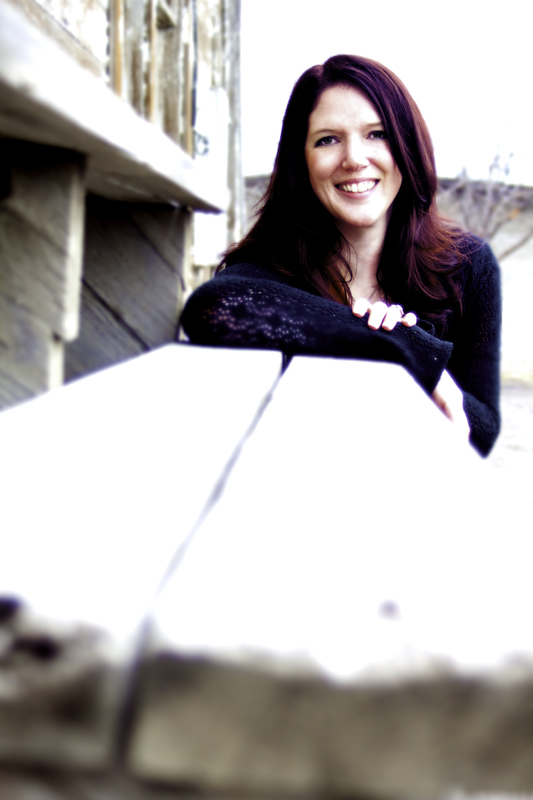 How did you go from aspiring writer to published author? It’s really about keeping your eyes open for opportunities and taking it when they come along. I kept going to writers conferences, joined writing groups and critique groups. I immersed myself in the industry as much as possible and worked on improving my craft while seeking opportunities. One day, it paid off! Join an awesome critique group with other writers that will tell you what’s what. Keep an open mind and don’t get defensive about your work. If people are putting in the time to give you feedback, recognize it. It doesn’t mean that they’re right – that’s up to you to decide. But make sure you listen with an open mind before you disagree. Keep writing. Keep seeking opportunities and don’t give up! What is the most surprising thing you’ve learned so far on your journey? Where can readers find and connect with you? If you’re in the Salt Lake area, don’t miss the launch party for Defiance! Come get your book signed by the author, win door prizes (signed books, gift cards to restaurants and Amazon) and have a great time. This entry was posted on Friday, February 20th, 2015 at 6:00 am	and tagged with Adrienne Monson, author interview, Books, new release and posted in Author Interviews, Books. You can follow any responses to this entry through the RSS 2.0 feed.